California’s Pala Band of Mission Indians has reportedly signed a deal with Phil Ivey and at least two people connected with the old UltimateBet, James Ryan and Uri Kozai. The deal represents a resumption of planning eyeing a future California online-poker era, with the Palas being one of that state’s powerful tribal nation of Mission Indians — along with the Morongo, San Manuel and Pechanga bands — that have been at the front of CA tribal online-gaming efforts. This deal’s a bit off the wall, since it includes the signing of Phil Ivey as front man, though Ivey, as a Nevada resident, would have to establish California residency — or have a special… ahem… VPN setup to be able to play on the site. Then there’s the old UB connection, which involves James Ryan, the Canadian online-gambling exec who served as the CEO of UltimateBet parent Excapsa before leaving that role and moving over to the same post at PartyGaming. Uri Kozai, a chief programmer for Excapsa as an independent contractor in the years prior to UB’s sale to AP, has also enjoyed a long and friendly business relationship with Ryan. This deal with the Pala Band reportedly includes a role for Kozai’s firm RealTime Edge, which is expected to provide a poker platform for the Palas in the event California online poker becomes a reality. There are some other interesting threads. Kozai was the force behind Centaurus Games, the software firm that managed to acquire a legacy copy of the old UB software; Centaurus was later acquired by an entity affiliated with PartyGaming when Ryan was at that company’s helm. This Centaurus/RealTime Edge continuation — it’s really all just Kozai and his programming staff, has been responsible for the old UB software re-surfacing (with a mild facelift) on the old ClubWPT subscription, as well as being planned for use on another Frankenstein appearance of the old code on a site called Spotlight Poker. That Spotlight Poker concept seems to be dead, with the old UB software now more likely resurfacing as the backbone of this Pala tribal effort. Few details are available as yet. The original story appeared over at pokerfuse, but the PalaTribe.com site shows no releases on the purported deal. As for Ivey, he’s a logical name to sign up for something such as this; and Ivey has shown a willingness to endorse just about anything that comes along. He’s probably also in need of new income streams, since his tens of millions from the old Full Tilt days have dried up, and he’s still in an ongoing court battle with London’s Crockfords Casino over roughly $12 million in disputed punto banco winnings. Ivey also has an old UB relationship. In the days prior to his investment at Full Tilt, he was one of UltimateBet’s most privileged high rollers, and likely enjoyed a personal relations with James Ryan, Russ Hamilton and others. In my own massive files from UB, I’ve discovered only nine special “wire only” accounts for UB players out of a couple of million accounts; two of those nine accounts were connected to Ivey, demonstrating his status as an early and prominent UB players. All this stuff ties together and never really goes away. That old UB software is another example: How a copy of it ended up in Kozai’s control is a curious, grey story, but it’s there, and it may resurfacing again soon, albeit with another facelift. 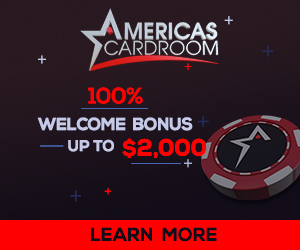 Posted in Online Poker, Poker Culture, Poker News, What's New Blog and tagged California, Centaurus Games, Excapsa, James Ryan, Pala, Phil Ivey, RealTime Edge, Spotlight Poker, UltimateBet, Uri Kozai. Bookmark the permalink.